Beautifully appointed apartment right on Main Street! Just IMAGINE walking to all of your favorite shops, restaurants and events in town! This sleek modern apartment is light, bright and fitted with high-end furnishings and accents throughout. 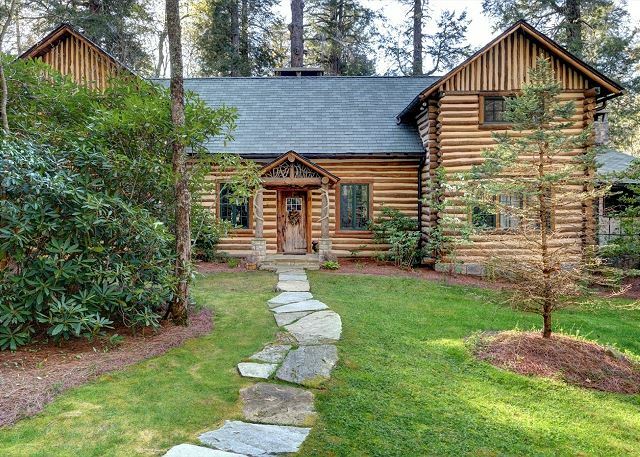 Amazing 6 bedroom, 5.5 bath Joe Webb log cabin on 24 private acres. 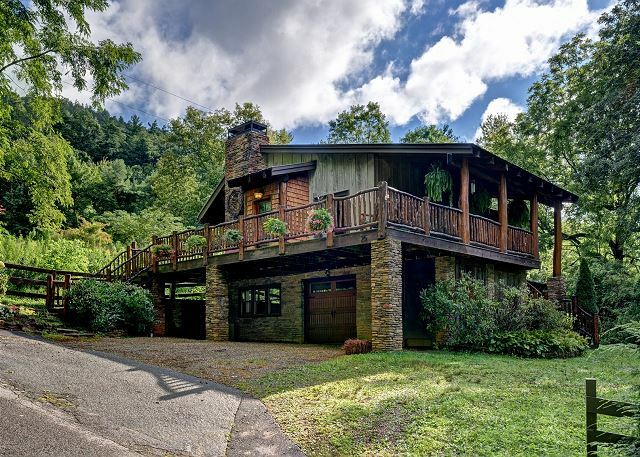 Privately set, mountain views, close to town, this fun family retreat has it all! Offered as a 4 bd/3.5ba or a 6bd/5.5 bath. Inquire for Details. 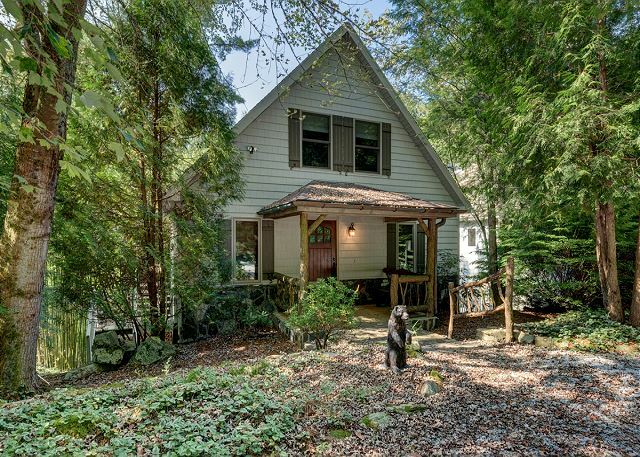 Cozy and Chic 3 bedroom 2 bath cottage with hot tub in Horse Cove. Close to hiking, rivers, and National Forest Service Land. 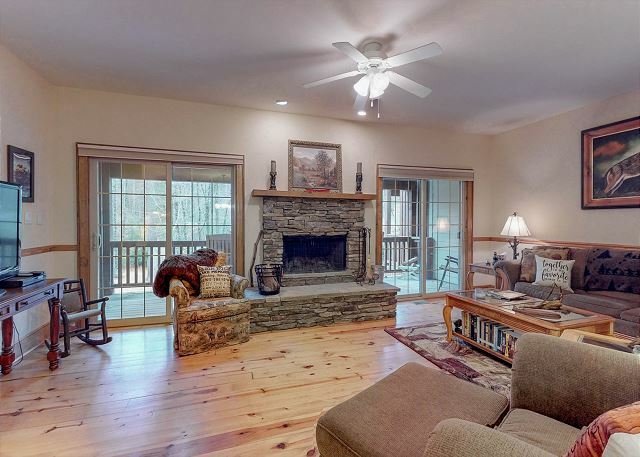 This 3 bedroom condo is perfect for a family getaway or a mountain retreat with friends! 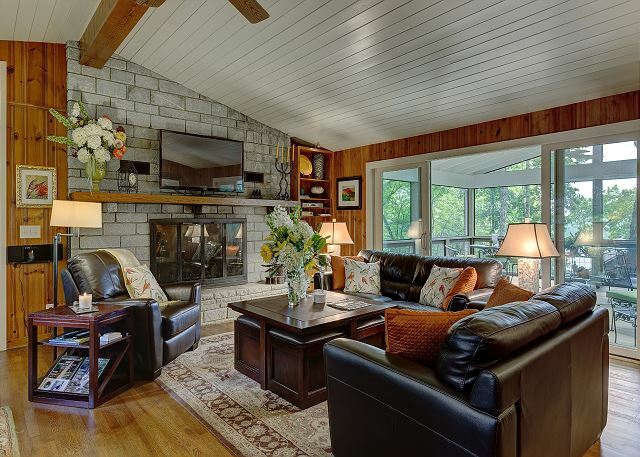 Sleeps 7 and your amenities to Sapphire Valley are INCLUDED! 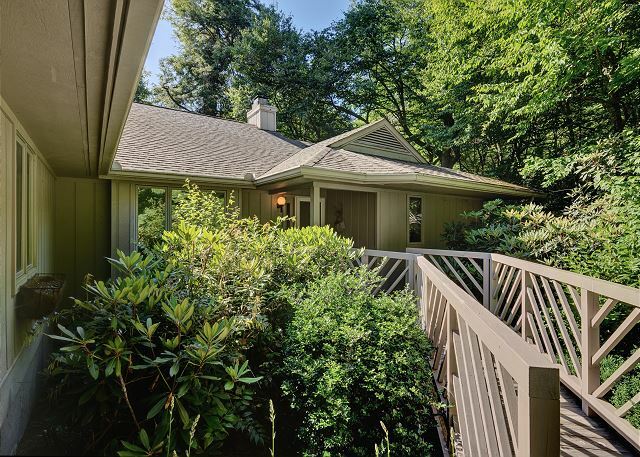 Mountain Charm Hidden Among the Laurels in Highlands Falls Country Club. Home can be rented as a 3 bedroom, 3 bath home or add in lower level with additional 2 bedrooms, 1 bath. Inquire for Details. Located at the end of a cul-de-sac for optimal privacy. 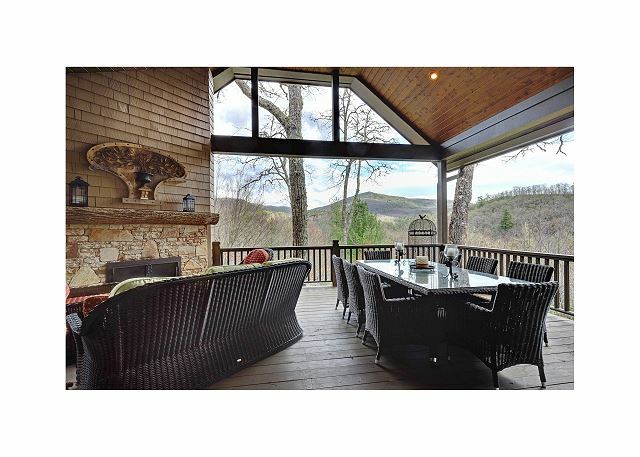 Amazing views to SC and GA from this Stunning 5 bedroom/4.5 bath vacation rental with long range mountain views located in Highlands NC. 2 main level master suites, gorgeous kitchen looking out over the views plus full butlers kitchen. 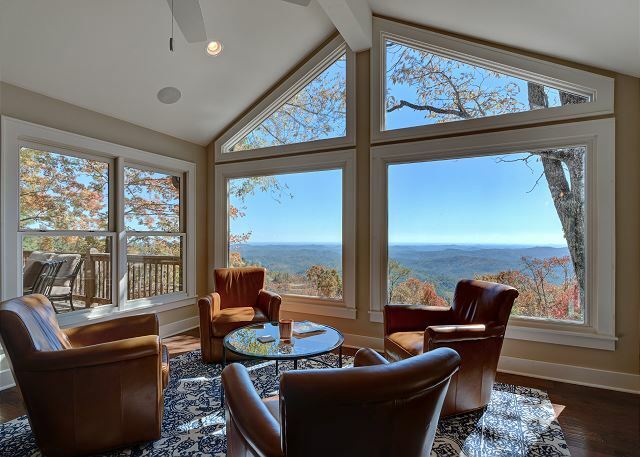 Spectacular views of Satulah Mountain and overlooking downtown Highlands. Set high atop Little Bear Pen Mountain.